Match Real Madrid-Atletico Madrid Champions League the fixture is set to kick-off today 18:45 on Estadio Santiago Bernabeu. Refereee Martin Atkinson. Real Madrid takes place, which promoted to the European cups. In 5 last matches (league + cup) team gain 0 points. The best players Real Madrid in Champions League , who scored the most goals for the club: Cristiano Ronaldo 7 goals, Karim Benzema 5 goals, Alvaro Morata 3 goals. Players with the most assists: Cristiano Ronaldo 6 assists, Karim Benzema 1 assists, Alvaro Morata 1 assists. Injured players Real Madrid: Pepe, Gareth Bale. Atletico Madrid takes place, which promoted to the European cups. In 5 last matches (league + cup) team gain 0 points. from 4 matches team have not been defeated. The most goals in Champions League for Atletico Madrid scored: Antoine Griezmann 5 goals, Saul Niguez 3 goals, Kevin Gameiro 2 goals. Players with the most assists: Antoine Griezmann 2 assists, Kevin Gameiro 1 assists. In Atletico Madrid not occur in the match due to injury: Augusto Fernandez, Juanfran. 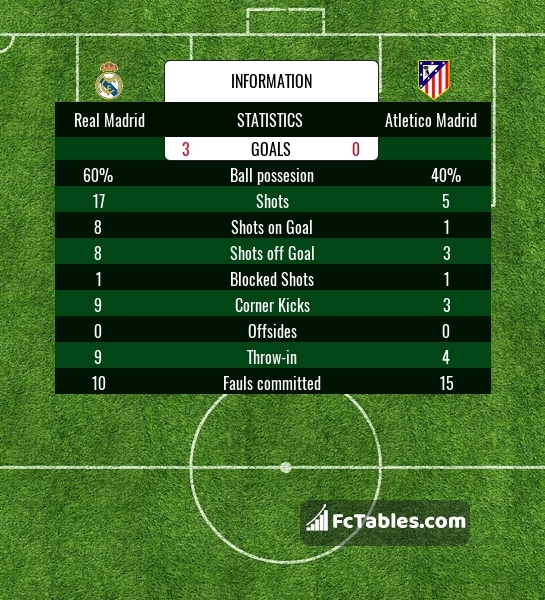 Direct matches: usually ended with winning of Real Madrid. 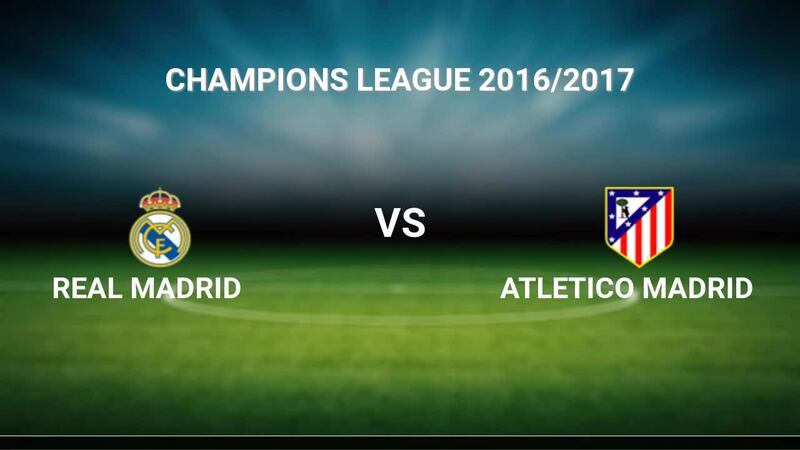 Balace of both teams games are: 24 won Real Madrid, 7 wins Atletico Madrid, 12 draws. In 23 matches the sum of the goals both teams was greater than 2.5 (Over 2.5). On the other hand, 36 matches teams scored more than 1.5 goals (Over 1.5). In 24 matches the both teams have shot at least one goal.